Getting your work noticed and selling it to make a livelihood can be challenging. These resources will help artists create, refine and execute strategies for selling their work in a constantly evolving marketplace. On-line art marketing courses and resources as well as, personalized support and workshops offered by Alyson B. Stanfield. Fee for services. Her artbizblog (www.artbizblog.com) is an excellent free resource for arts business information. An online platform where artists display their artwork and detail their art careers, and are found by potential clients and customers. 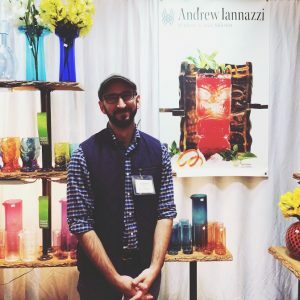 A non-profit educational organization established by the Rosen Group, ABI provides educational resources to the arts community in the U.S. and Canada through annual retreats and business skills workshops held in conjunction with local arts organizations and with the Rosen Group’s Buyers Market of American Craft. ArtBizTV on the website contains marketing advice from Wendy Rosen, President of the Rosen Group and interviews with artists on business and marketing-related issues. Blog entries on the site cover a wide range of marketing topics. Produces monthly workshops and discussions to aid artists with the professional side of their art practice. An astute business and tech savvy blog from metalsmith Harriete Estel Berman. This blog has a wealth of information on all aspects of an artist’s business, including a set of professional guidelines developed by a stellar committee of craft professionals for the Society of North American Goldsmiths (SNAG). Famous for their excellent weekend-long intensive art business workshops, Creative Capital has a series of one-topic webinars. You will need a computer with speakers, but no special software. The cost is $25 per 90 minute session. Check their calendar for times and topics. Creative Capital’s Professional Development Program (PDP) shares with a broad community of artists some successful tools and strategies for improved self-sufficiency. Workshops are presented around the country through arts organizations and agencies. Creative Capital also offers artist project support grants. GYST is a software application for PC and MAC for tracking artworks and other career-related items such as artist statements, contacts, etc. A monthly magazine that focuses on business information for artists working in craft disciplines. The Profitable Artist is a handbook for artists in the performing, literary and visual arts, compiled by arts professionals and the New York Foundation for the Arts (NYFA). The book guides the reader through five broad substantive topics that are often overlooked by artists: strategic planning, finance, law, marketing, and fundraising. Each topic area is reinforced by real-world examples and applications of the material.